(Newser) – Pixar's Coco sang its way to the fourth-best Thanksgiving weekend ever with an estimated $71.2 million over the five-day weekend, a total that easily toppled Warner Bros.' Justice League. Coco rode strong reviews and an A-plus CinemaScore from audiences to the top spot at the domestic box office. According to studio estimates Sunday, it grossed $49 million from Friday to Sunday. Centered on the Mexican holiday Dia de Los Muertos (Day of the Dead), Coco has already set box office records in Mexico. 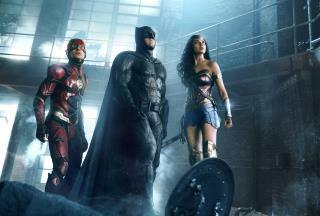 After a disappointing debut last weekend, the DC Comics superhero team-up film Justice League slid to second with $40.7 million. In the five-day holiday frame, it earned about $60 million. The Oscar contender Call Me by Your Name had one of the year's best limited releases. Conservative film review: Oh NO Mexicans ...Ahhhhhhhhhhhhhhhhhhhhh, MS13, illegals ..Ahhhhhhhh. And it's aimed at kids ...shocking. 0 stars. Since Coco is a girl the movie should be called Coca, but I think it's more commonly called yayo...jk. I'll probably wait for the Blu-Ray on this one, so I can skip the 21-minute "short" that comes first, word is that that is absolutely awful. They hated it so much in Mexico that theaters have stopped showing it.